This is the second post in a 4-part series. Read part 2: Frustrated Desire and Faith. I reflected some more on this instruction from Him. Then, I found myself telling my weakness to God, declaring His truth, and expressing my gratitude regardless of how I felt at the time. I confessed my inability to imagine a better circumstance than what I had originally planned. I declared by faith that I believed what He said. I thanked Him for even telling me ahead of the disappointment! Then, I looked up at my semi-clad window with my unfinished vision of what could be, sighed, and decided to release it to Him. God knows better than I do and has better in store; otherwise, He would not have said so. 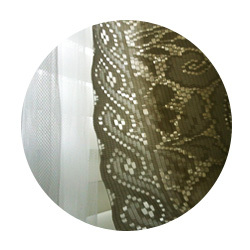 I thanked Him for allowing this chain of events and using silly lace curtains to draw me to Himself. This is the second post in a 4-part series. Read part 1: Heart Check. So this curtains scenario… Sigh. I had a little meltdown inside. To be honest, I cried. A story that’s probably already been told by dozens, hundreds, maybe even thousands? One that largely remains hidden from most? With just one voice and a few photographs?